Can I Import MOV files to iMovie? As it is known, MOV is an apple format. However, sometimes some files with MOV file extension can't be imported into iMovie. That's possibly because your MOV files, which may be from different sources, such as from some video editing software, or from different cameras, which have different codec inside. iMovie only allows you to import the MOV videos with codec that iMovie can recognize. But relax! This post will share you how to convert MOV to iMovie easily! What codec in MOV enables you to import into iMovie? Don't worry. 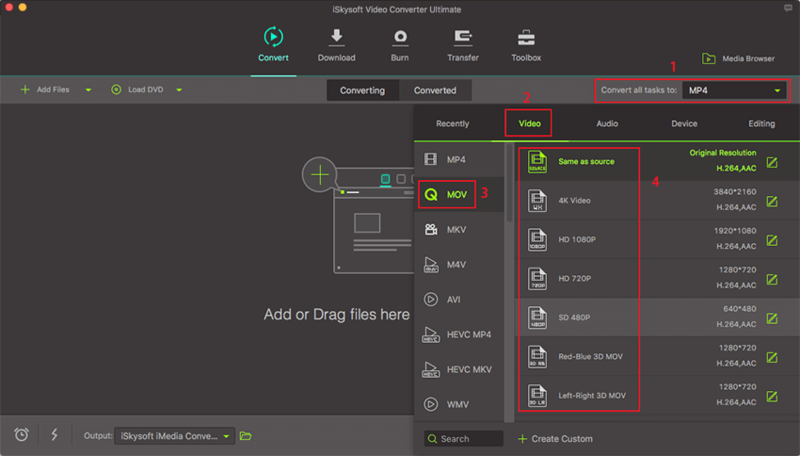 A professional iSkysoft Video Converter Ultimate can do the great job even if you are not a pro. 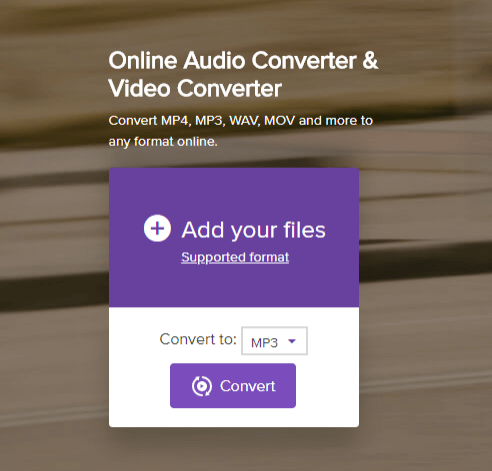 This is an all-in-one video converter that enables you to convert video and audio in 150+ formats. Let's see the main features of it (To proceed, you need to download this MOV to iMovie converter on your Mac or Windows PC). Convert between 150+ videos of different formats to iMovie supported format for editing, including MOV, MP4, AVI, VOB, MKV, WMV, FLV, etc. Aside from iMovie, it converts MOV videos for compatible with various editing tools, like Final Cut Pro, Windows Movie Maker, iDVD, etc. Edit MOV or any video before converting with inbuilt editing funtions like Trim, Crop, Rotate, Add Effects, Watermark, etc. Transfer converted MOV or other format videos to mobile devices in order to enjoy them on the go. Download or record video from 1,000+ online video websites, including YouTube, Vevo, Vimeo, Metacafe, Dailymotion, AOL, and so on. Compatible with all Mac Operating Systems, including macOS 10.14 Mojave and Windows 10/8/7/XP/Vista. Launch iSkysoft MOV to iMovie converter. Open the folder where you have saved the MOV files, and then directly drag the files to the program interface. The files will be loaded to the program immediately. Alternatively, you can use the "Add Files" to import the MOV videos to the program. This MOV to iMovie Mac Video Converter allows you to get any segment of the MOV video and convert it to a compatible format for iMovie (iMovie 11/iMovie 09/iMovie 08/iMovie HD). In the output format tray select "Editing" tab and then "iMovie" format. Hit "Convert" in the video clip or "Convert All" at bottom if you import several videos to be converted, let this smart Video Converter to do the rest for you! It will only take a few seconds to finish the whole job. After that you can find the converted videl from the "Converted" tab. They are already on your Mac! Now you can import MOV files to iMovie without interruption! Launch iMovie, from the File menu, choose Import > Movies, navigate to the folder that output MOV videos are saved. Select the files and click "Import". Now, start to create your masterpiece in iMovie (iMovie 11/iMovie 09/iMovie 08/iMovie HD)! Please note that there are common problems with free converter online. The converting speed is limited, that means you will have to wait a long time till it finish converting. And it only allows you to convert file with certain size or length. 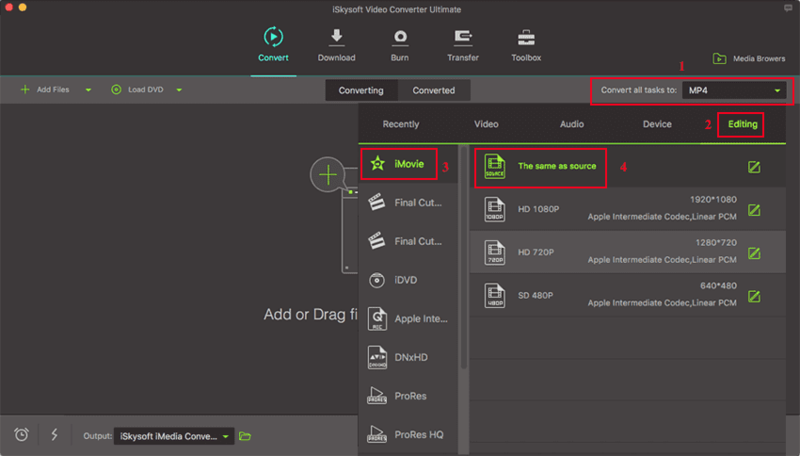 So if you want to avoid these problem, we recommend the desktop method with iSkysoft Video Converter Ultimate above.